Normally when a defense reduces the front to one side or the other it is a good start to determining where safety rotation is going to be. Not on this one.If the Strong Safety can hold his water and not give this away early this one can definitely ruin an offensive coordinator’s day. The Sam, strong side End and Shade must get home too because depending on the offensive play they have a long way to go. Teach the strong side 5 technique to read the block of the Guard. If the Guard blocks away or zones strong the 5 technique can control that B gap but if the Guard blocks out on the 5 Technique he should cross his face and get in the A gap. In this drawing the Mike must travel with any motion strong so the Snake Zone Dog can stay on. This is an important part of coaching zone dog pressures because at the end of the day you have three underneath cover guys. If the F were to motion weak the Will LB would go with him and he needs to let that drop End know because it affects his drop into coverage. All of this is important to coach up but if you can count to three and communicate, it’s not nuclear physics either. Your defensive front, Sam Linebacker and Strong Safety need to understand getting home vs a pass is mandatory. If it’s not a hot throw or a three step pass then it’s a sack. 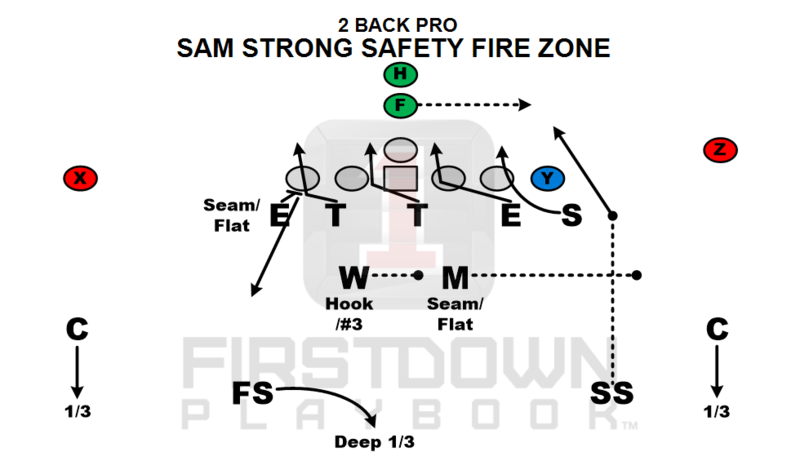 If you are a FirstDown PlayBook member Bang on this link here or on the drawing above and you can see the complete defense with assignments and coaching points for all eleven defenders. 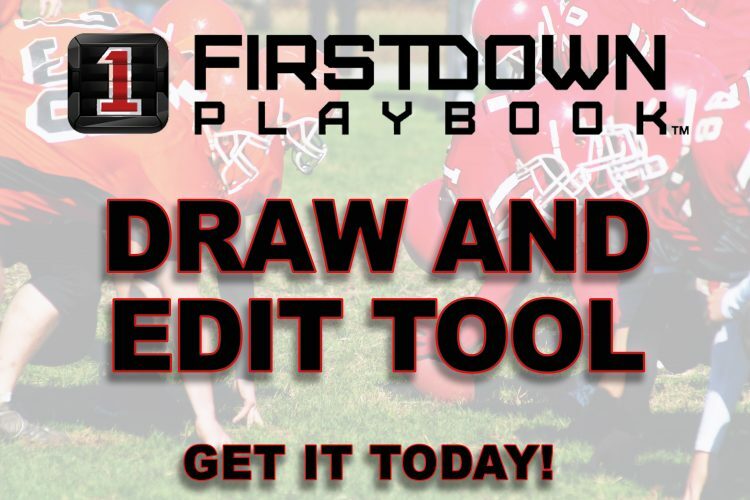 FirstDown PlayBook is the only Digital Football PlayBook that gives you access to over thirty five thousand football plays, schemes and technique help all designed by coaches and players with NFL experience. 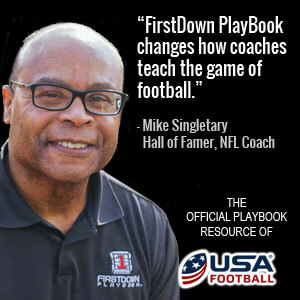 FirstDown Playbook is also the official PlayBook resource of USA Football and Football Canada..